Amid all the debate on the marriage equality postal survey, these words from my nephew Tom put so many things in perspective. He’s a wonderful guy who we all love and support. He’s now in his 30’s and along with his family and friends I’m so proud of him. Tom's story is personal, but it is not unique. Please think about this when you’re voting. 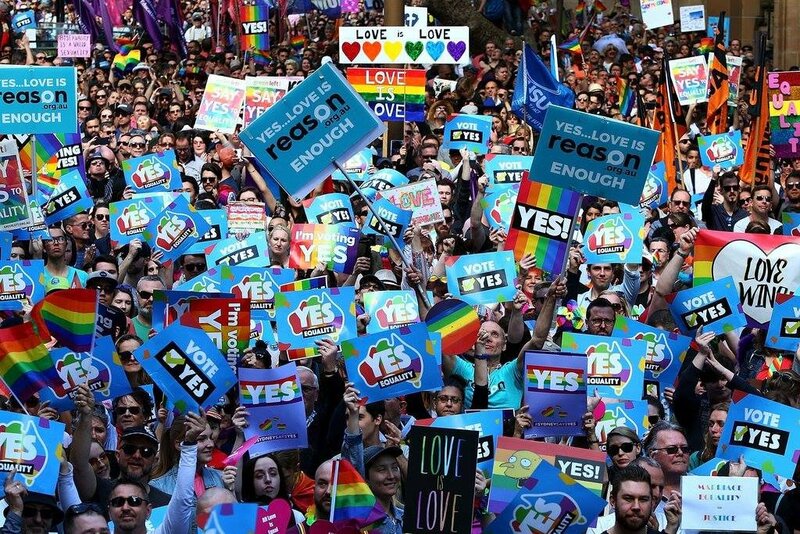 “If thinking about the marriage equality vote doesn’t make you feel dread and anxiety about a stranger’s opinion of you, then you’re not affected. If it doesn’t remind you constantly of the hell you put yourself through as a teenager, trying to make sense of the world, while also trying to figure out why you desperately needed to get married and have children like everybody else wanted you to, yet you didn’t like girls, then you’re not affected. If it doesn’t have you closing social media because you’re crying so hard you can’t continue reading the few but relentlessly horrible comments about you, then you’re not affected. If it doesn’t make you constantly think about the people who have ‘unliked’ you, or if you don’t have amazing family and friends and workmates around you to remind you how stupid this whole thing is, and how much they love you, and how beautiful and tolerant normal Australia really is, then you’re not affected. Either mark ‘yes’ and get on with your life while letting others get on with theirs, or don’t vote. Unless you’ve experienced coming to terms with being different from what other people think is normal, then this whole popularity vote means more than you’ll ever know, especially to the little 14-year-old Tommy Pipers, trying desperately to make sense of the world.